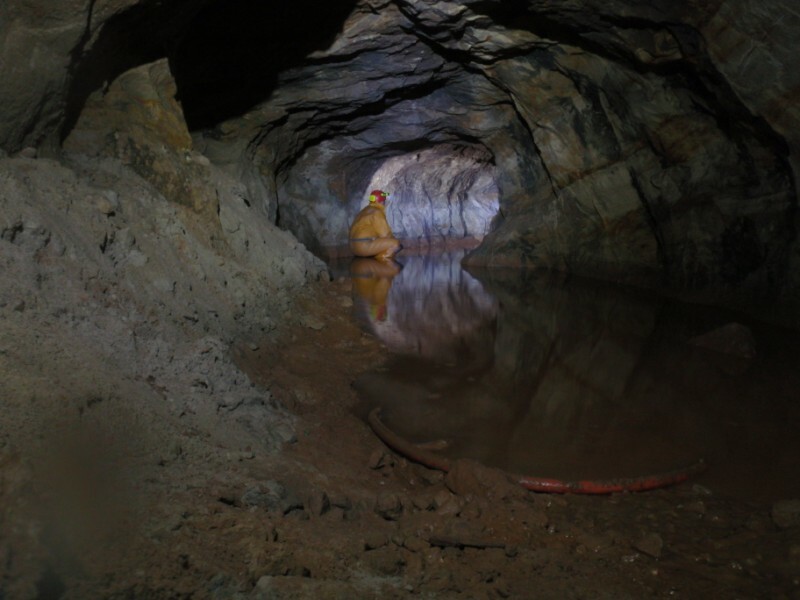 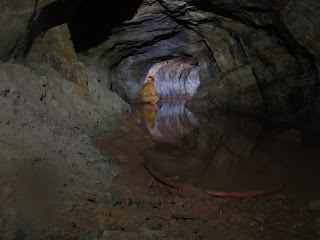 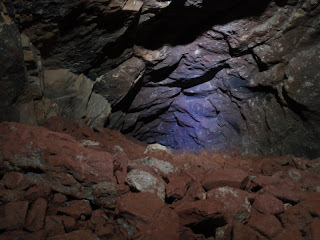 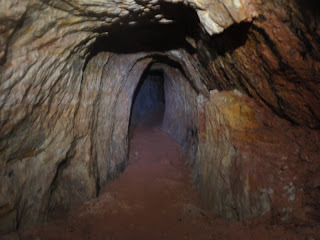 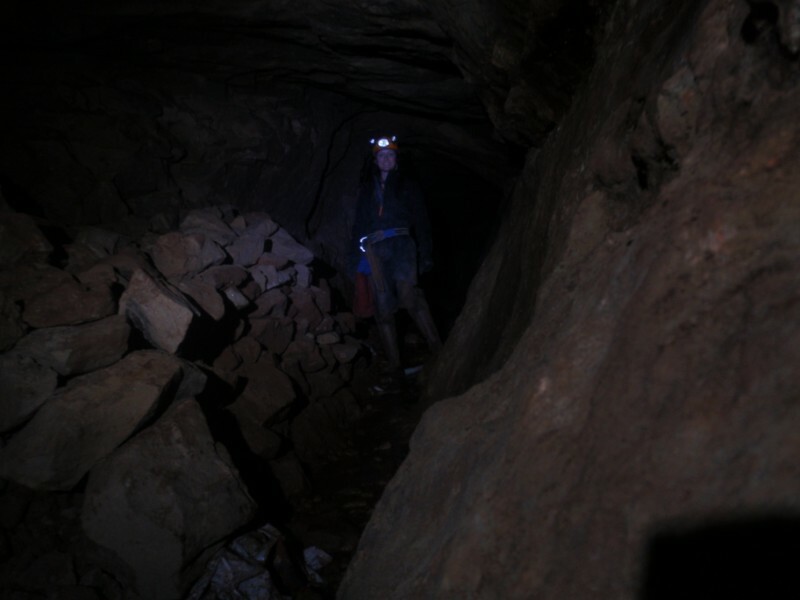 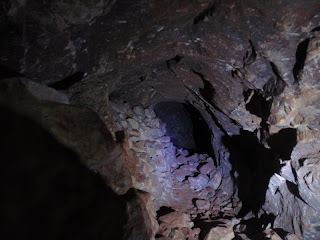 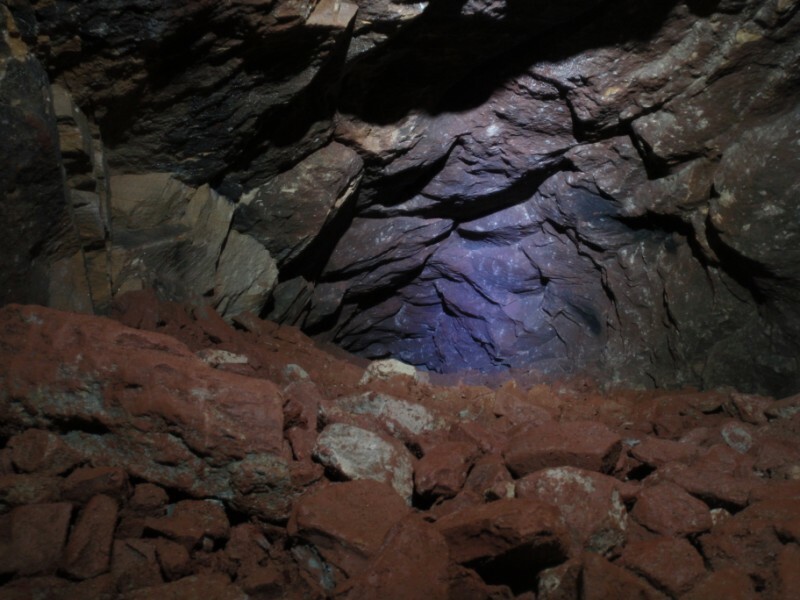 Wood Mine was excavated during the period 1860-1877 by the Alderley Edge Mining Company and is located in Windmill Wood, the mine was primally for Copper but they also excavated smaller amounts of Galena (lead ore) and Cobalt. 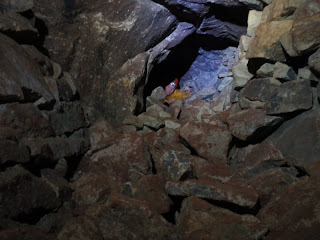 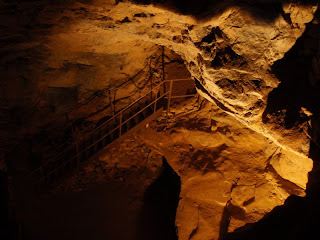 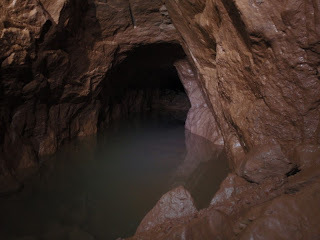 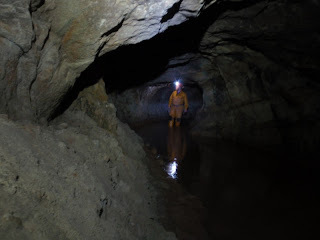 The mine is on 4 levels and when the mine was in production it was lit by the miners candles, the ore was removed by blasting then digging it out with picks and shovelsThe ore and rock was removed by wooden tubs and taken to the haulage level and then to the surface. This ore was transported to the West Mine treatment works via a tramway and processed with the West Mine materialsaround the year of 1877 Wood Mine was closed down when the Mining Company went into liquidation. 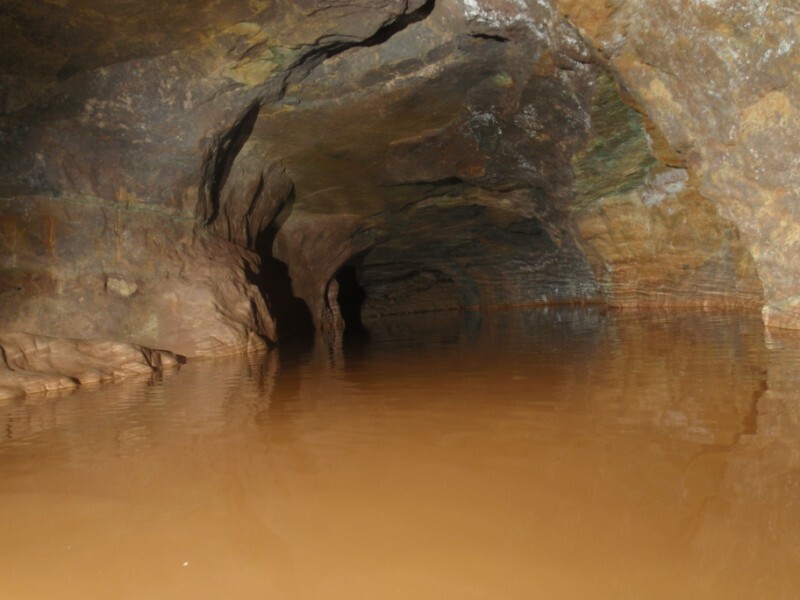 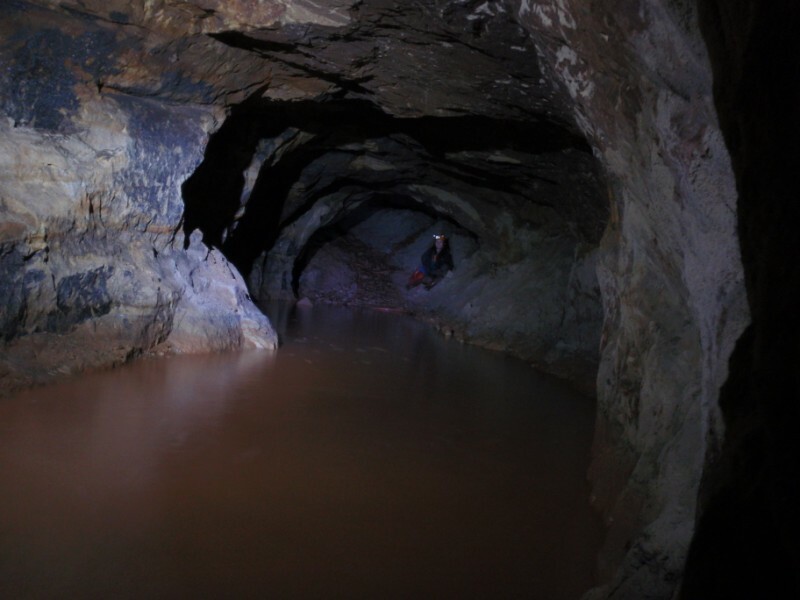 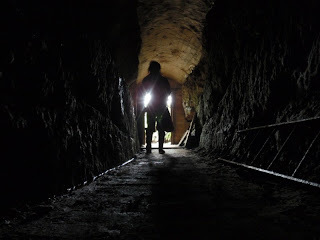 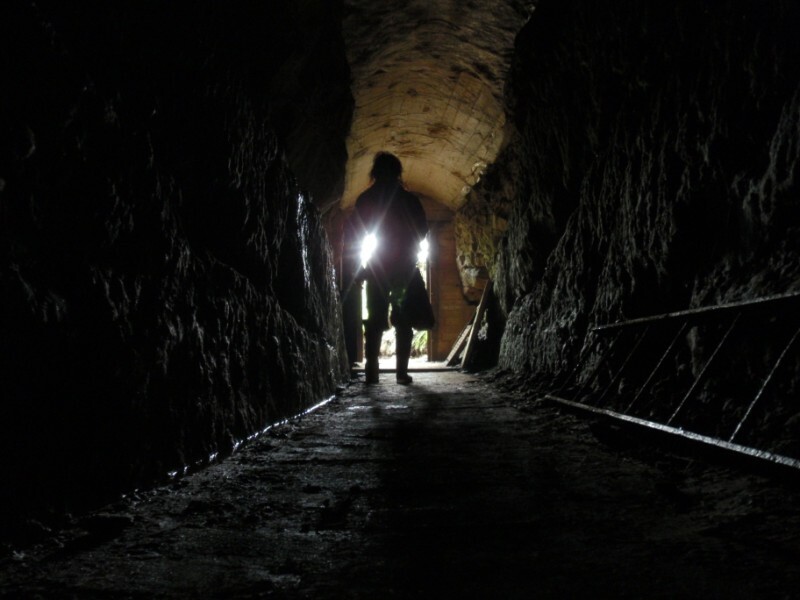 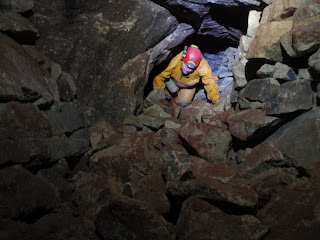 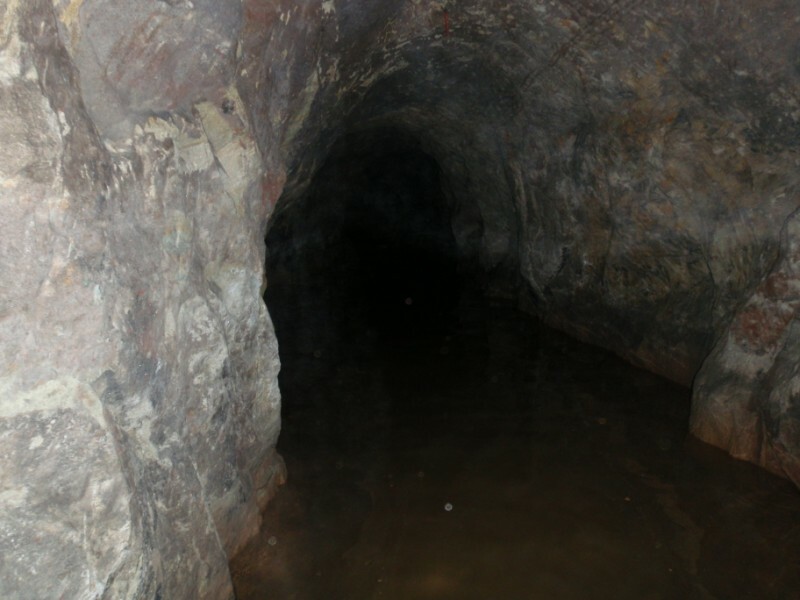 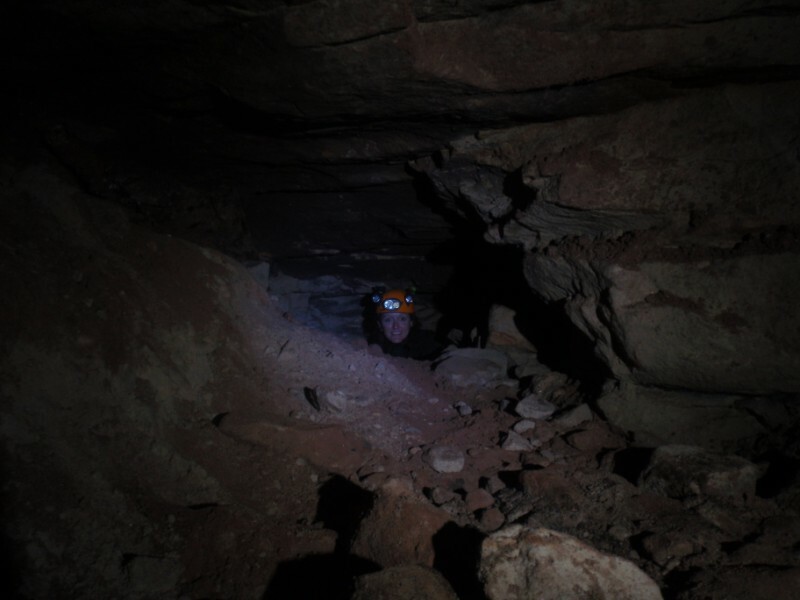 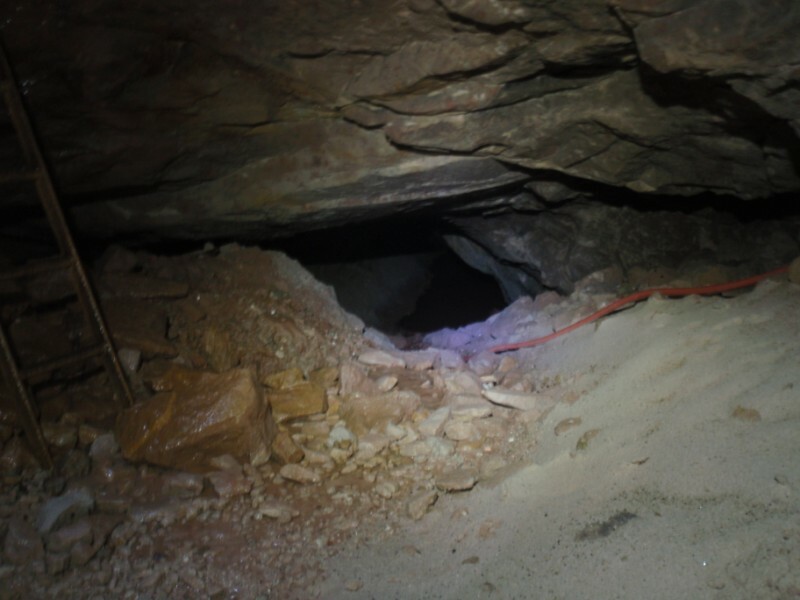 The mine did re-open during the period 1911-1914 before it was again abandoned.The entrances remained open which attracted inexpirienced explorers and there were several accidents and deaths. 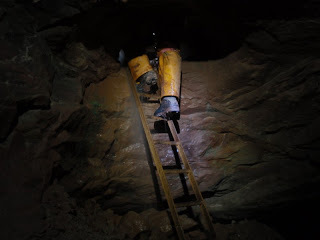 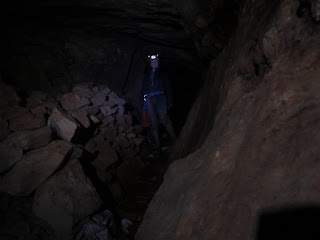 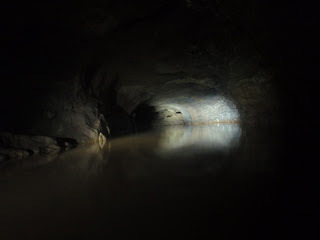 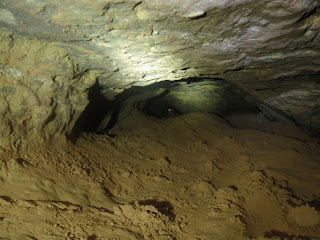 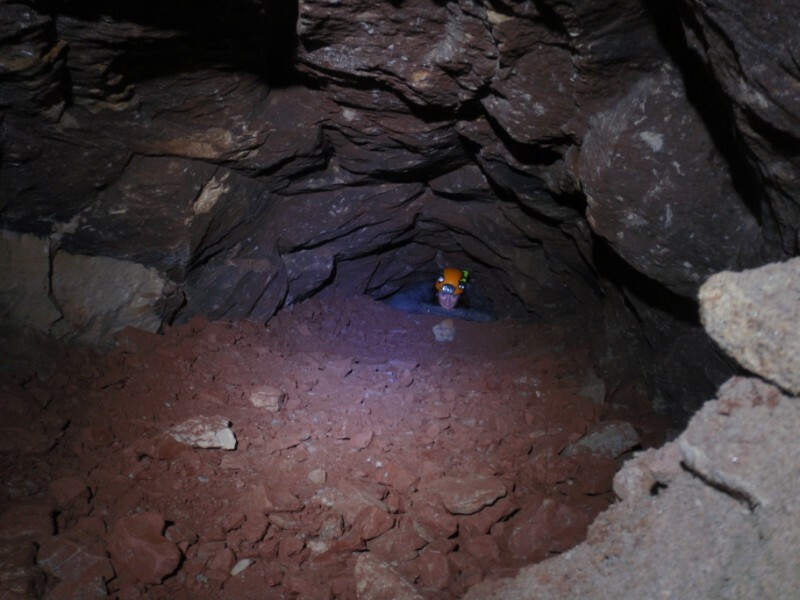 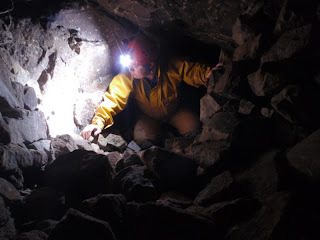 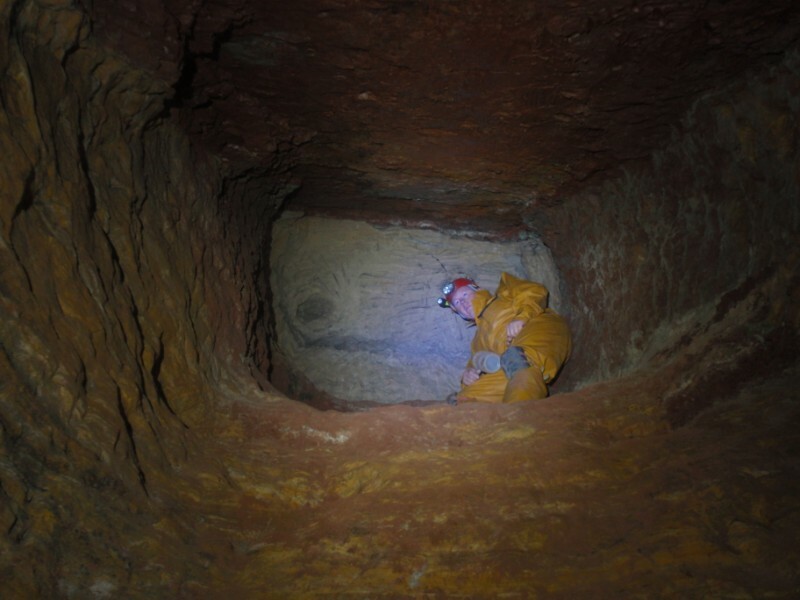 In 1964 Wood Mine was sealed and six years later the Derbyshire Caving Club (DCC) were given permission to re-open the mine. 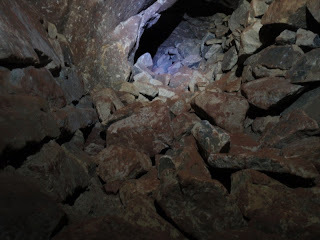 The mine is accessed today via a level at the end of the old tramway but only with permission from DCC. 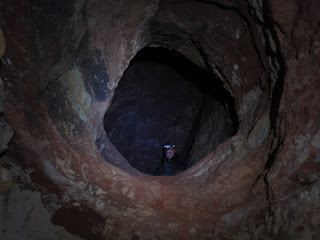 You may contact DCC via the link below. 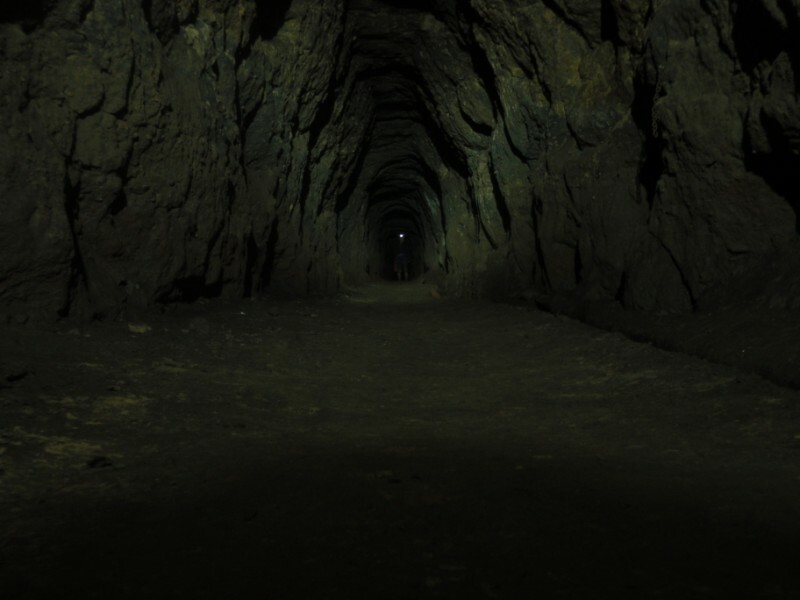 And off we go into the darkness. 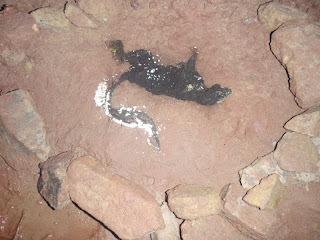 Think he needs basting and turning over !!!. 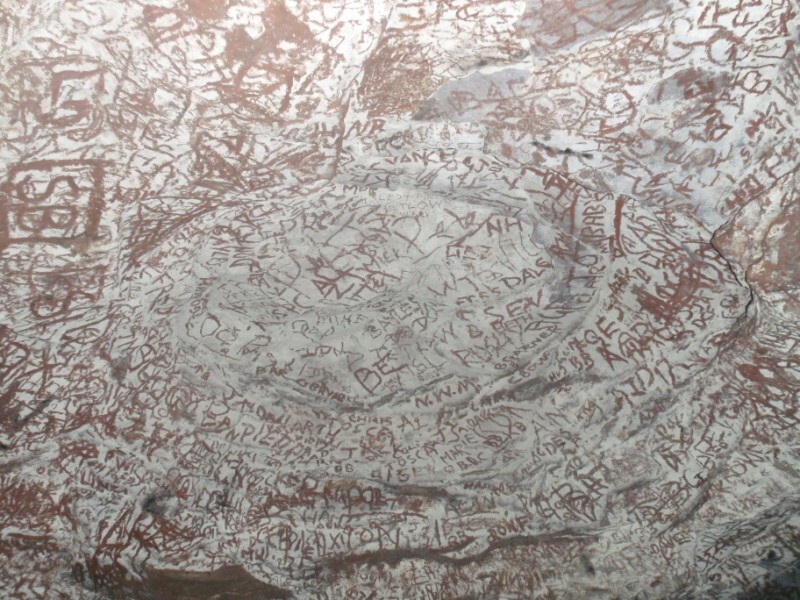 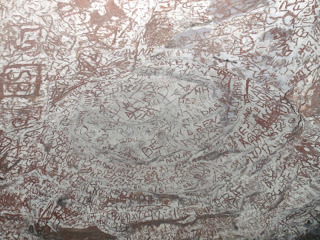 Scrawl in the roof over many years. Play time in the water. 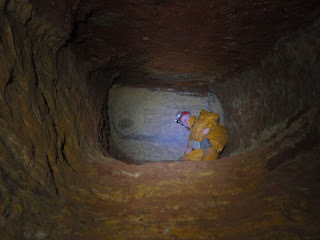 Things are looking down !. Ladders to the black hole. 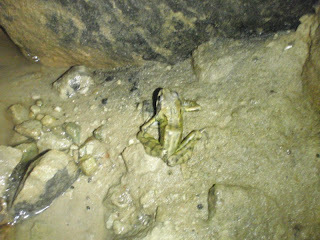 Anyone lost a frog ?.